Peter Mosen, tell us about you. Who are you? What do you do? Do you have other hobbies? Well, let’s see! I’m Peter Mosen, 60 yrs. 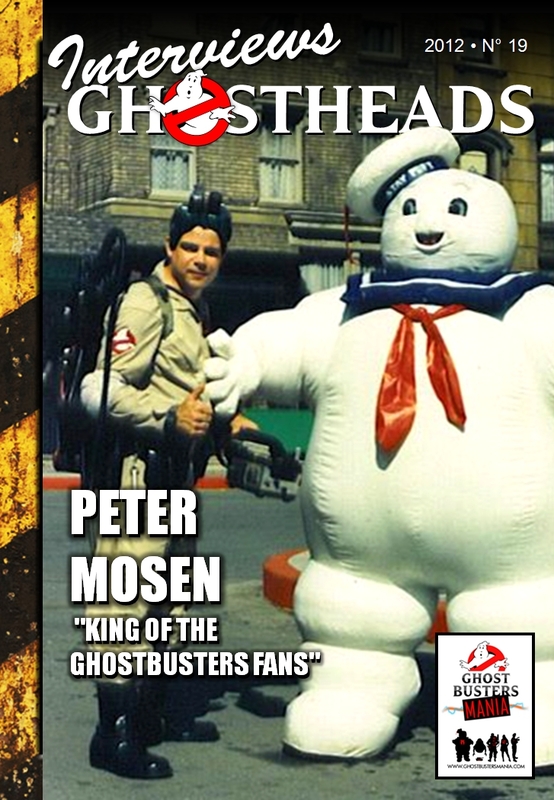 old and considered to be “King of the Ghostbusters Fans” and “The Original GHOSTHEAD”! I appeared in line at the original preview screening in 1984 two weeks before the national release, in costume. I created a company called “Rent-An-Alien” and made costumed appearances at special events. The last ten years or so, I’ve been building theatrical and special event props and scenery. I feel that I’m a good photographer and enjoy taking pictures. I have a unique background in carpentry and fabrication. I also have an automotive background and fondness for older classic vehicles. How was born the passion for GB? That sort of “grew”. Fate took me by the hand and just dragged me along for the ride. I stated this passion by entering and winning at numerous costume competitions at Sci-Fi and ComiCons. 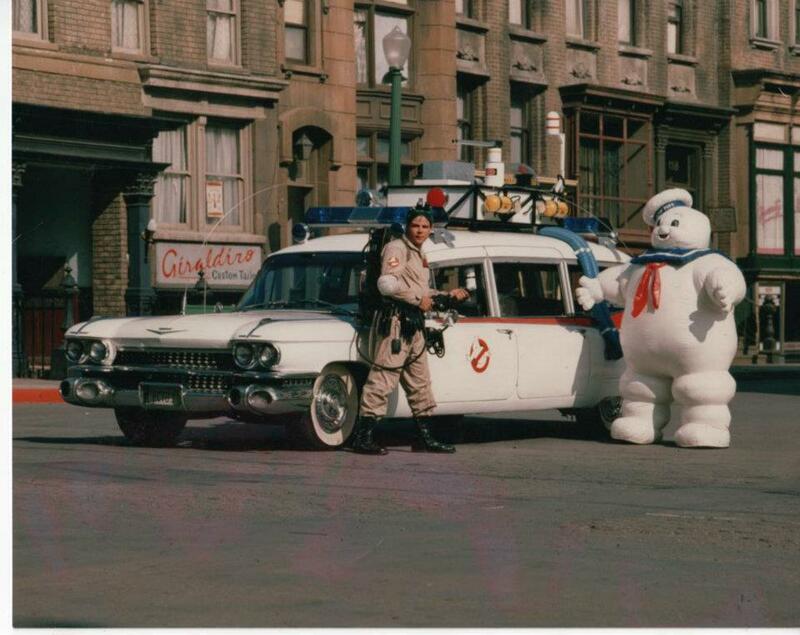 You were one of the first has to create the costume and proton pack. Tell us about this experience. Actually, I was the first! Wich has-been until now your favorite event and why? 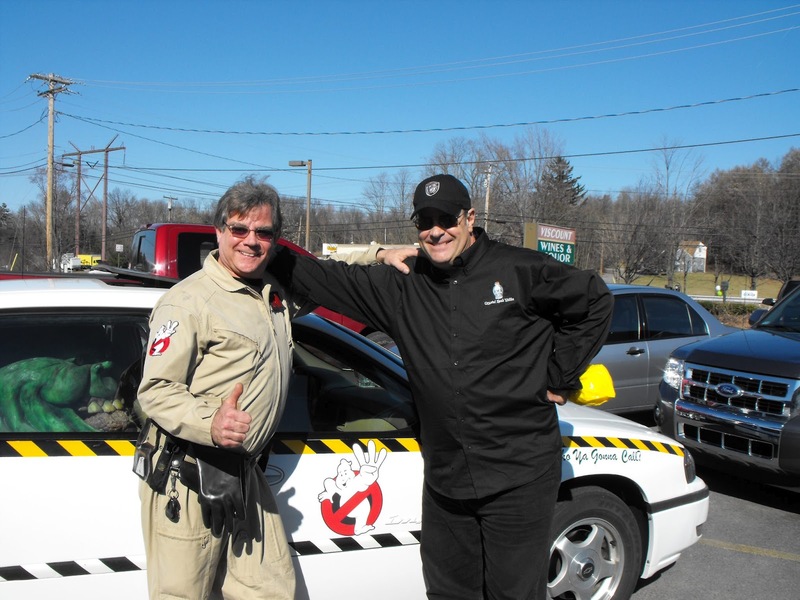 It was great fun promoting the re-release in 2011 at my local theater and tieing in with Columbia Pictures to give-away items at the screenings. But after 25+ years, going to the ComiCon in NYC was an exceptional experience. I don’t think that I EVER had that many photos taken of me in one day! Not even at any of my theme park appearances. I think that being a Ghosthead is like being a Boy Scout. Help if you can! Ghost or No-Ghost. 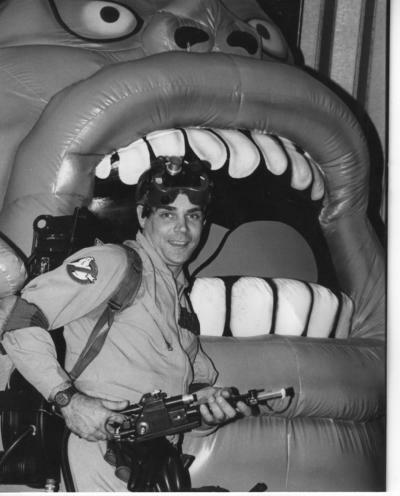 I’m hoping to put a book together with all the “Slimy” details and photos included of my “Ghostbuster” career. “Hello” to all the GB fans all over the world…Keep hoping for GB3, I know that I am!! !